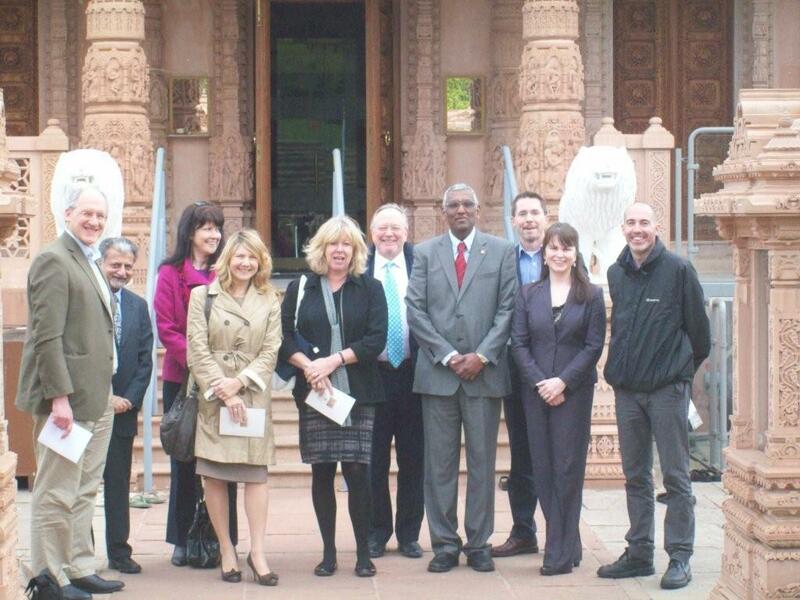 Leaders embarked on a unique multi-dimensional cultural experience in April 2011 when they went on a visit to the Jain culture complex in North London, (Hertfordshire) participating in an ancient timeless festival, the Ayambil. RSPCA trustees Barbara Gardner and Richard Ryder travelled hundreds of miles to participate in this experience, such was their enthusiasm. Diverse Ethics has developed a track record in this area, where instead of talking about the importance of greater diversity in British leadership, we have taken the initiative and spent a lot of time and effort to bring about transformations from the ‘inside out’. 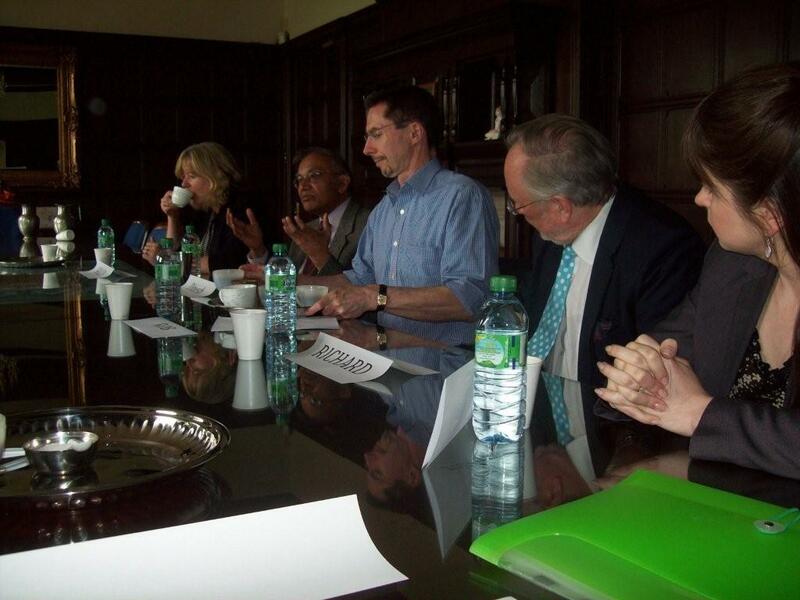 Mr. Rati Shah MBE, and past president of the Oshwal Association of the UK warmly welcomed the visitors. During the visit, leaders were first given a guided tour of the Jain temple, built in the style and rules of the ancient Jain philosophy. The dome structure is shaped like a mountain, encouraging people to feel as if they are leaving their worldly life and concerns to enter this ethereal space, removed from fear, greed, anxiety or mistrust. Once inside this ‘mountain’, visitors were treated to a feast of colour, song and creativity, witnessing a variety of worship rituals and seeing the images of the main teachers or ‘tirthankaras’. Jain culture is very democratic and has a very strong and profound respect for all living beings (ahimsa), which has very important ramifications for leaders wanting to understand and implement diversity. At the festival, there were nearly three hundred people gathered for the lunch, and as this is a fasting festival, the meal had several restrictions on top of being vegan – e.g. no fresh fruits and vegetables, no spices, no root vegetables, and so on. In spite of this, a ten course meal was served and cooked fresh by volunteers. This shows the huge creativity latent in this tradition. Often when we encounter something that is different from the familiar, we ask why don’t you...Instead, what if we reacted by saying, wow, how do you do this? One approach can be arrogant, the other, much more sensitive. Participants were touched by communal experience, with many saying that they have never sat down and shared a meal with such a large group of people, so committed to building bridges. To wrap up the day, we spent two hours discussing the implications of the tour and the experience in a workplace and organisational context. It was a very unique and memorable experience. I agree with the business principles of Diverse Ethics - change is very much about developing relationships, understanding people and working with the Leadership within organisations. The day started leaders on a journey of reflection, and gave them inner encouragement to continue to champion diversity in the work that they do in various ways. It was remarkable to see this transformation happening without any speeches or lectures, nor was there any forceful approach – they simply became more inspired from within. 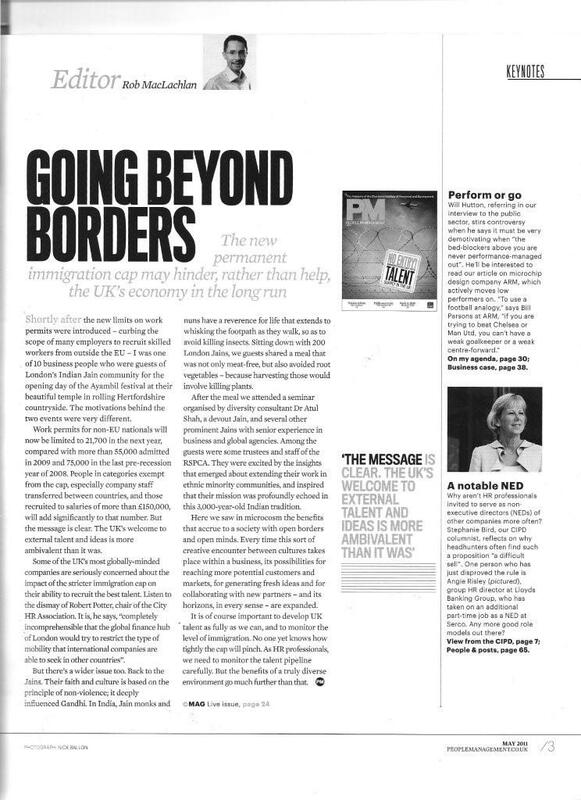 The event was covered in an editorial feature in People Management magazine, May 2011. You can view this editorial by clicking on the Resources section below. If you would like for find out more about this experience or any other services offered by Diverse Ethics, please feel free to contact us. PRACTICAL COMMUNITY ENGAGEMENT - V&A expert Marilyn Greene explains the art and science of community engagement. HOLISTIC SCIENCE - Recent events are proving that we cannot separate nature, work, society and health. Everything is interconnected.